It has led to calls for the former leader to be suspended from the party. Liberal Democrat deputy leader Jo Swinson tweeted: “The party has rightly begun a disciplinary investigation into Lord Steel following his revelations. In a statement released on Thursday afternoon, Lord Steel said: “I would like to clarify what happened in 1979 when I asked Cyril Smith about the report in Private Eye. “As I told the Inquiry yesterday I did not have that report with me when I tackled him, nor did we discuss the details in it. “He admitted to me that the report was correct in that he had been investigated by the police at the time and no action taken against him. “I had already told the Inquiry in writing that in my opinion he had been abusing his position in Rochdale Council (that is to gain access council run children’s homes), but that had been properly a matter for the police and the Council, and not for me as he was neither an MP nor even a member of the Liberal Party at the time. The statement continued: “I am reinforced in my view by reading the previous report of the Inquiry sent to me today, which says inter alia ‘the Crown Prosecution Service found that the advice which had previously been given could not be faulted (given the law and guidance in place at the time)’ and that the honours scrutiny committee had seriously considered his nomination for a knighthood and sent a ‘warning of risk’ letter to Margaret Thatcher as PM, and that ‘clearly she took a similar view’ as he was granted the knighthood. “It is unfortunate that some sections of the media have chosen to extract certain passages of evidence and present them without the full context. 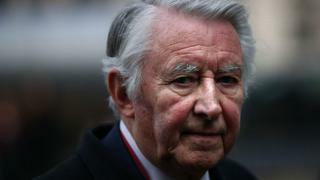 Richard Scorer, a specialist abuse lawyer at Slater and Gordon who is acting on behalf of seven victims in the abuse inquiry, said Lord Steel’s admission that he assumed Smith had committed offences would “cause victims great anger”.